The sexiest music on the planet... everyone with a pulse will want to get into this club – Variety. 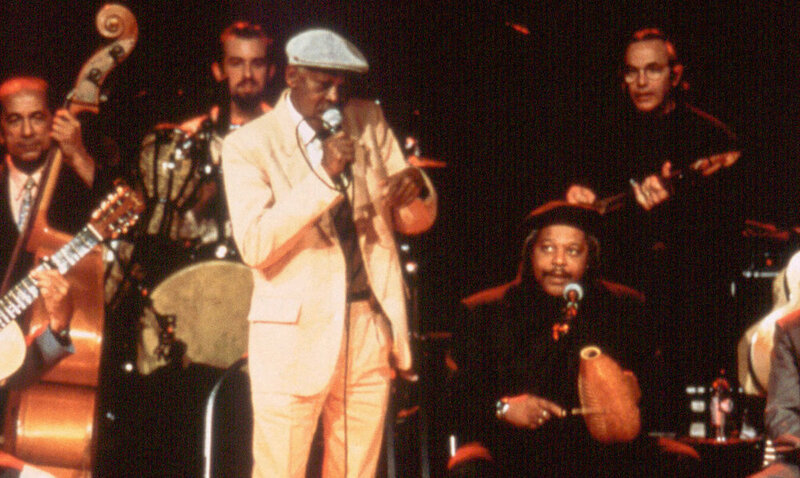 When Ry Cooder gathered together the legends of Cuban Jazz for a unprecedented collaborative effort The Buena Vista Social Club was born. Wim Wenders documentary profiles the remarkable musicians, recording their experiences as they perform in Cuba and abroad, eventually appearing at New York's Carnegie Hall. Hailed as "splendid ... a sheer delight" (New York Post), "glowing-embers documentary" (Washington Post), this film helped immortalize both the music and its now-famous practitioners who had been living in near poverty, all but forgotten in their own country. Now available remastered in Dolby 5.1.